Best Western Hotels & Resorts has accelerated its expansion plans in Vietnam with the signing of an exciting new upscale beach resort in Cam Ranh. Best Western Premier Cam Ranh Seahorse Beach Resort will be nestled on an idyllic stretch of golden sand on Vietnam’s south-central coast, overlooking the azure East Sea. Ideal for all types of travelers, from families seeking a beachfront vacation to corporate groups planning memorable meetings, this world-class resort, residence and convention center will be located just five minutes from Cam Ranh International Airport and 20 minutes from the popular resort town of Nha Trang. 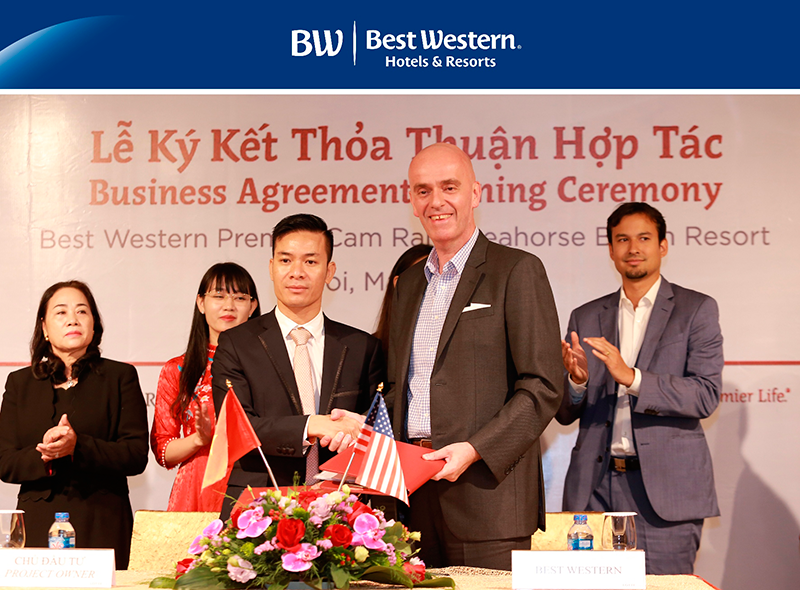 The signing ceremony was held on May 10, 2018, attended by Best Western’s executives and Mr Luong Thanh Thiem, Chairman of Hong Ngoc Viet Travel Investment Joint Stock Company. “We are delighted to sign such a prestigious project in Vietnam, as we ramp up our expansion strategy in this dynamic country,” said Olivier Berrivin, Best Western’s Managing Director of International Operations – Asia. “Best Western Premier Cam Ranh Seahorse Beach Resort is a perfect example of the type of first-class properties we are now attracting in Asia. “With record numbers of international visitors, a large domestic population and rising levels of affluence, Vietnam is an incredibly exciting destination with huge tourism potential. We look forward to welcoming guests to this excellent resort in future and will continue to seek opportunities to bring Best Western’s world-class standards of hospitality to more areas of the country in future,” Olivier added. Upon opening, Best Western Premier Cam Ranh Seahorse Beach Resort will feature a total of 376 rooms and suites, all equipped with upscale facilities, spacious bathrooms and cutting-edge technology, including complimentary Wi-Fi. 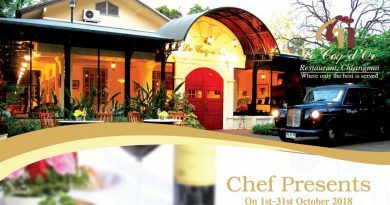 Guests can sample delectable local and international cuisine in the restaurant, enjoy soothing therapies in the spa, have fun on the tennis court, cool off in the tropical outdoor pool, or simply stroll along the sandy beach or beside the landscaped lakes. For corporate clients and event planners, the adjacent convention hall provides an ideal setting for every type and size of event, including major international conferences, all backed up with state-of-the-art audio-visual technology. Located in Khanh Hoa province, in the south-central coast region of Vietnam, Cam Ranh is a stunning destination with golden sands and turquoise seas. The expansion of Cam Ranh International Airport, which will soon open a new international passenger terminal featuring 80 check-in counters and ten aircraft bridges, is helping to transform the area into a major tourism destination. The airport now welcomes direct flights from major cities including Hong Kong, Seoul, Shanghai and Kuala Lumpur. 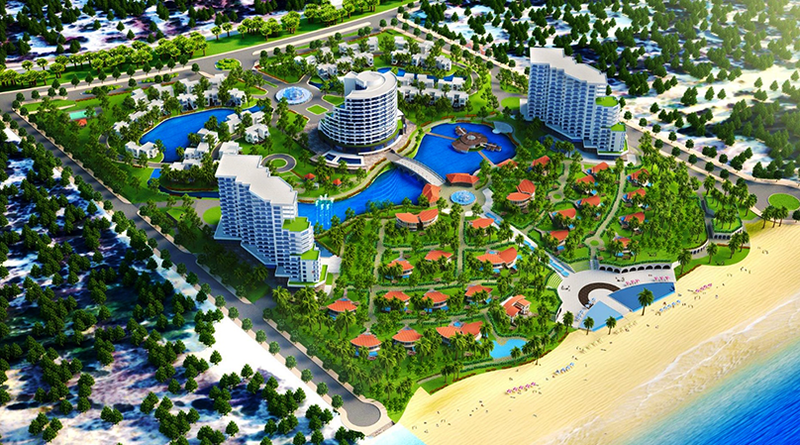 Best Western has identified Vietnam as one of its key Asian target markets; the signing of Best Western Premier Cam Ranh Seahorse Beach Resort comes just weeks after the company announced plans for its first BW Premier Collection® by Best Western hotel in the country, located in the coastal city of Vung Tau. W Koh Samui Hosted an Inauguration to Celebrate the Opening of Honorary Consulate of the Russian Federation in Surat Thani. May 22, 2018 vacuuivi Comments Off on W Koh Samui Hosted an Inauguration to Celebrate the Opening of Honorary Consulate of the Russian Federation in Surat Thani.